Looking at the second division scores from the first half of the season you might think they’re playing a futuristic high scoring type of soccer with Cristiano Ronaldo robots down there; Central Park Rangers Reds drew with Real Ole F.C., 6-6, KidSuper Samba A.C. downed Real Ole, 9-5, F.C. Ulqini defeated Stal Mielec NY, 6-4—this is just a few of the chaotic scorelines from the second division. No they’re not playing a futuristic type of soccer with Cristiano Ronaldo robots, they’re playing the same old soccer from the mid-19th century with human feet. To say the least, the second division enjoyed a hectic Fall season. KidSuper Samba, a club primarily made of African youngsters, topped the first half of this fast-and-furious like season in the North Region with a 7W-1L-1T record, five points above second placed Sporting S.C. (5W-2L-2T). KidSuper was just three points away from finishing first last season, which was their inaugural campaign. Striker Yankuba Janneh expressed that the club is determined to end this season at the summit of the table. “We made an emphasis to finish first this year and we’re currently sticking to that goal,” Janneh said. The 26-year-old leads the league in scoring, tallying 12 goals in nine matches. 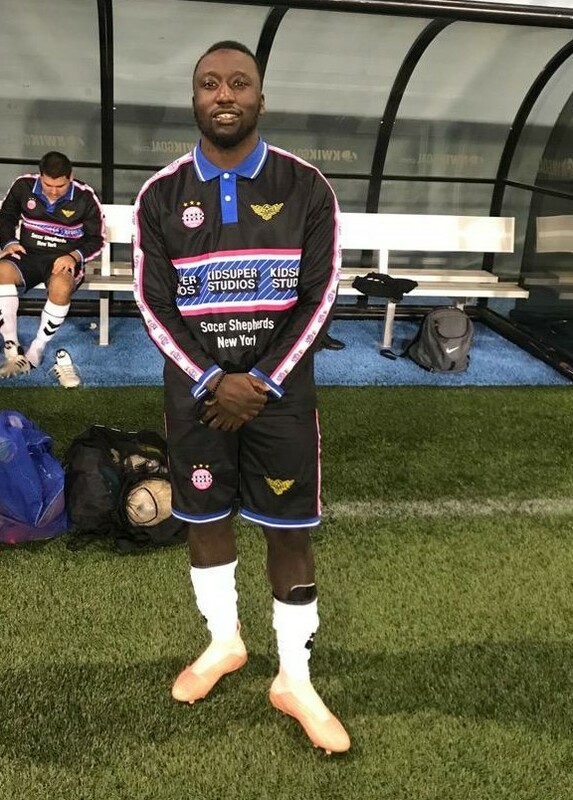 Division 2 scoring leader and KidSuper Samba A.C.'s striker Yankua Janneh. Offense has been the key behind Samba’s success this season. In fact, the young club didn’t just score the most goals in the second division but they tallied the second most goals amongst the 112 teams of the entire league, finding the net 46 times in nine matches—Missile F.C. from Metro 2 outnumbered KidSuper's scoring account by just one goal. Janneh explained that the team's chemistry is what spurs their attacking prowess. Janneh’s teammate Ebrima Jallow leads the league in assist, registering 10 in nine matches. The Kids' superior attacking skillsets helped them triumph over the other attacking threats of the North Region. For instance, Real Ole scored five goals against them but they struck back with nine goals, Central Park Rangers netted three goals versus them but they outscored them with seven goals. Hence KidSuper is one of the guiltiest clubs behind the unreal scorelines aforementioned. The two matches Samba lost and drew were from high scoring games as well, falling to fifth placed Brishna, 4-3, and tying with CD Iberia, 4-4. As mentioned, Sporting is the closest team behind KidSuper with 15 points. SSC is the most improved club in the second division as they crawled from eighth place last season to second. Returnee Abdoulaye ‘Abdul’ Ibrahim played a major role in their massive transformation. Abdul netted 11 goals in seven matches to place himself in second spot in the Golden Boot race. The striker notched the best individual performance of the season, hitting seven goals past F.C. Spring Valley, who is surprisingly in last place after topping the North Region last season. Elsewhere in the North, newcomers Real Ole displayed an entertaining inaugural Fall season, scoring 33 goals in nine matches but conceding 36. They capped their Fall campaign in sixth place through a 3W-4L-2T record. Over in the South Region, Stal Mielec NY closed the first half of the season in first place with their best Fall record since dropping down from the top flight three years ago, [7W-1L-1T; 22pts]. 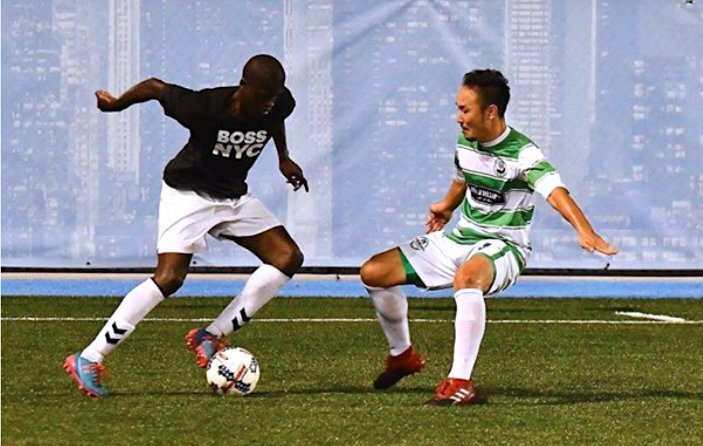 Things are a bit tighter on top of the table in the south as Polonia Gwardia NY sits behind Stal in second place with 20 points followed by Williamsburg International F.C., who accumulated 18 points. Mielec's manager Artur Kurasiewicz is happy that his side finished the Fall season in first place but nothing compares to beating their Polish rivals Polonia Gwardia, whom they conquered 1-0. 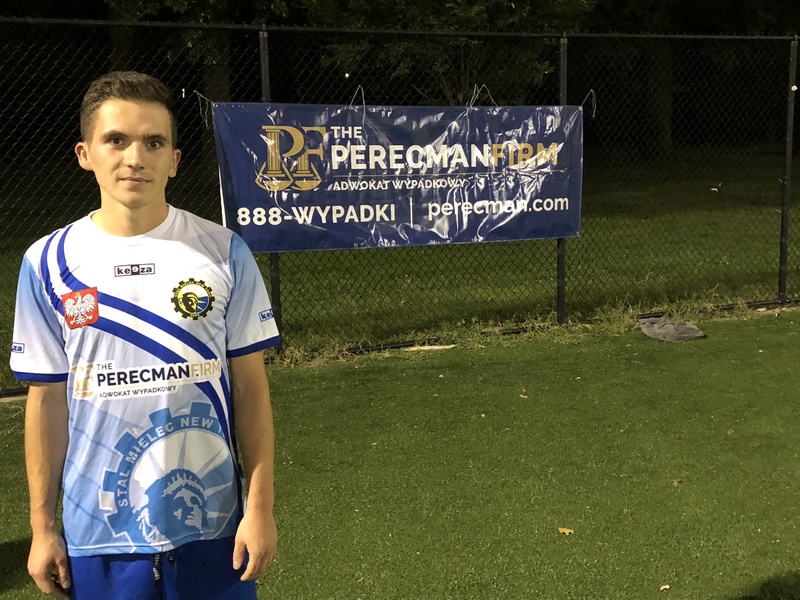 Polonia is the best defensive team in both regions, conceding seven goals in nine matches. Former Fortuna I Liga (Poland’s top tier) player Pawel Marczenia leads Stal in goals and assists in all competitions, finding the net seven times and recording four goal-passes. Stal Mielec's top scorer and assist leader Pawel Marczenia. The Polish club will celebrate its 15-year anniversary next year hence “there is slight pressure from [the] board to go back to the first division” after a three-year absence. Stal’s upcoming 15-year anniversary isn’t their only motivation to jump back to D1, they also yearn to represent Poland in the top flight of the CSL again. The only team Mielec lost to was newly promoted club F.C. Ulqini in a thrilling 6-4 scoreline. Ulqini climbed up to D2 after putting up an undefeated season last year in Metro 1 and ended their first Fall season in the second flight in fourth place with a 4W-2L-3T record.